An important note before we install Windows 8.1 in this post, I must first say, that you will need valid Windows 8.1 license key to activate your OS once it’s already installed. I do this on a Windows 8 machine. I am using Windows 8 Professional in this post. I am not sure if this will work with other versions, as I haven’t tried it yet. But I guess it will. I am also using an .iso file as I already have it (if you haven’t read further), and alternatively, you can use a bootable USB drive. 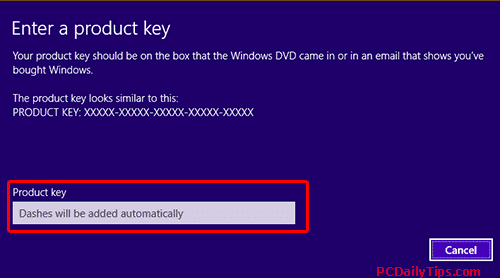 Why should we install Windows 8.1 without key? We shouldn’t if we want to install it on one computer. But if you have license key for multiple computers, and you need to install them in your company’s computers for example, you might want to use this method to skip entering keys on each installation, and activate them once they’re installed. Regarding the video above (It’s not mine, mine was deleted because of Microsoft’s copyright..), I recommend to download the Windows files from Microsoft official website, rather than torrent or anywhere else. Make sure you have the backup of your computer and important files. 1. You need to have the Windows 8.1 files. In this video, I have them already in .iso file format called, Windows81.iso. If you don’t have these files yet, you can download from the official website, following this tutorial. (Follow all the steps, until you have the “Install by creating media” option in step 7. (you can choose other option too). In the video of that post, watch until 3:07 minutes. 2. Create a new folder, I called mine, as “WindowsFiles”. Double click the .iso file to mount, and you will see the file’s content. Copy all of the contents to WindowsFiles folder. If for some reasons, you can’t mount it, copy the file to Local Disc (C) folders and you will be able to do this. 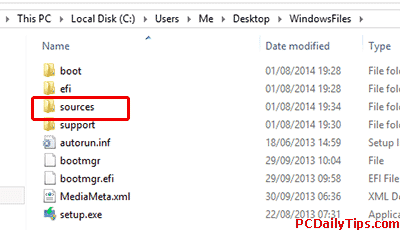 For EditionID, change “Professional” accordingly to your current Windows 8. Mine is the Pro version, so I typed that. Core for Home Premium, Enterprise for Enterprise version. Channel, enter Retail or Volume, depending your License key’s type. 5. Rename or delete the .txt extension of ei.cfg.txt. 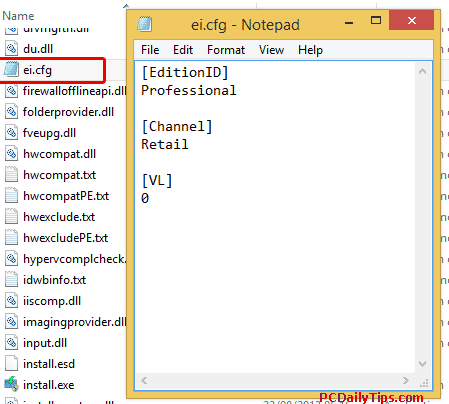 So you will have a file, called, ei.cfg inside your “Sources” folder. 6. Next step, go to the folder and double click setup.exe file by double clicking it to install Windows 8.1 on your computer. 7. 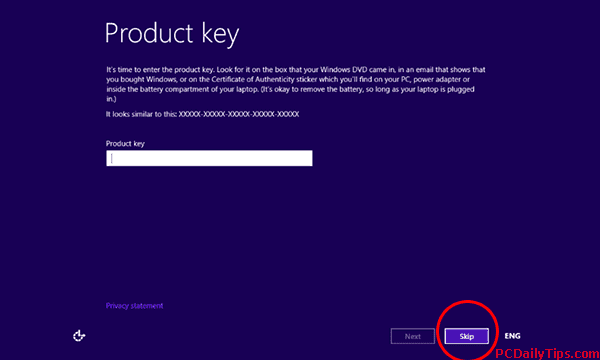 Follow the instruction until you can click on “Skip” when the “Product Key” prompt screen appears. 8. Once it is installed, you will need to activate it. 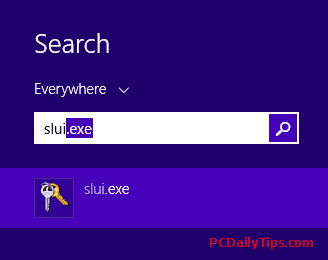 Type, “slui” in search box of your charm bar, and click “Enter” key. It will show you the activation dialog box, where you can enter your valid license key. That’s it, now you can spare the hassles to always enter your product key on installation process.